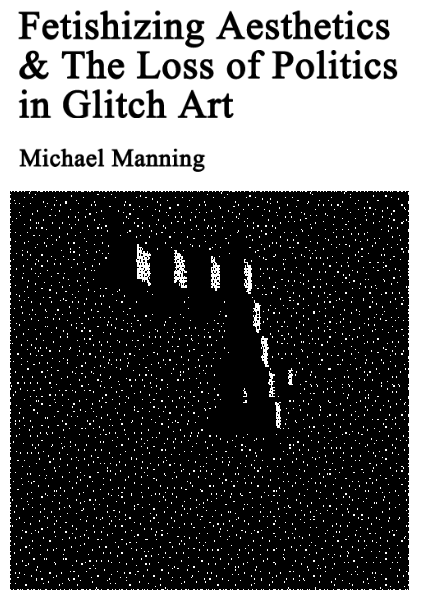 This was inspired by a rant about all the "glitch" scene artists swapping ideas and recipes on Facebook instead of actively jamming the control system (a la the hacker spirit of yesteryear), thereby restoring individuality and freedom to 700,000,000 Borg units. That's my spin--no idea what Manning will actually write. 9/10/2011 9/10/2011 by tom moody Comments Off on "Electro Suite No. 1"
One of my occasional soundscape-type pieces. Instead of MIDI clock this is LFO-driven: the LFO wave triggers a kick drum sound that gets faster and faster until it's just a solid wall o'kicks. Various digital reverb and delay effects add some "atmo."